By now it’s quite safe to say that many people who have traveled the empty and often gore-splattered corridors of the USG Ishimura know what Dead Space is, either casually or with varying degrees of intimacy. These players, no matter how much time they have actually spent with the game, would have seen that the game (like many stories that often have breathtaking violence as their most notable facet) has important messages to deliver. Dead Space is a commentary on the perils of religious fanaticism, how the human ability to strive toward a single goal can lead to either salvation or doom, and how people will believe in anything when the darkness is all around them. 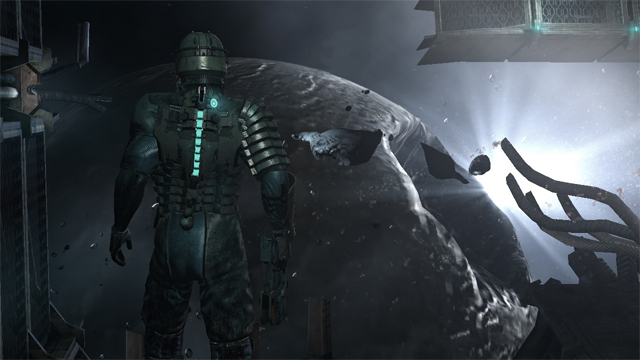 However, there is one message that Dead Space players may have missed, and that is the effect that money had and continues to have on the fate of the Ishimura. Despite all that has befallen the once mighty and majestic USG Ishimura, the flow of commerce and money seem to have been the ship’s primary purpose. In suspended animation, awaiting the arrival of the Kellion team, the ship’s fuel is almost depleted, the engines are shut down, the ship is in peril from large amounts of encroaching asteroids, and even the ship’s structural integrity is often questionable. Despite all this, however, one may find literally hundreds of credits on the horribly mutated bodies of the crew, even those whose mutations have left them without pockets. To add to this the fact that the player can find money conveniently deposited on floors, shelves, and in cupboards all over the ship. The emphasis on money almost literally permeates the ship; it is, after all, the reason why the ship was created in the first place. The centerpiece of this in-game emphasis on money are the Ishimura stores which are never out of order no matter how damaged the particular area of the ship Issac is in. It’s a curious thing that on a ship where finding a working door is a lucky break, anytime you need to make a purchase a functional storefront is always available. This silent emphasis on the importance of money on a ship that has gone straight to hell is perhaps only accidentally ironic, as Issac constantly needs supplies, but it is an interesting corollary to the lesson that greed, such as the greed of the CEC sending ships into inviolate systems, helped lead to the downfall of the Ishimura itself. The high availability of shops, goods, and money (depending on the difficulty setting of the game) stands as a somewhat muted testament to that which sent the ship spiraling to its doom. Dead Space seems to be backing up the adage that money is the root of all evil. This emphasis on having cash in hand as Issac wanders the devastated decks of the USG Ishimura isn’t exactly a new plot line either inside or outside of the survival horror genre. In Resident Evil 4, for instance, there is the unusual presence of the individual known only as The Merchant. Like the shops on the Ishimura he is omnipresent and in some way more incongruous to his surroundings than the highly advanced shopping areas found on the CEC’s pride and joy. With his harsh Cockney accent and his habit of allowing you to take a peak inside his cloak, he serves the same role as the stores on the Ishimura, but also has major differences from those devices. He is not mixed up in the game’s events, but instead profits from them. Despite his unusual appearances and behavior, it could at least be imagined that he somehow made his way through the zombie hordes to sell you items at crucial moments. The Ishimura stores have no valid reason for constantly functioning, regardless of the ship’s condition. 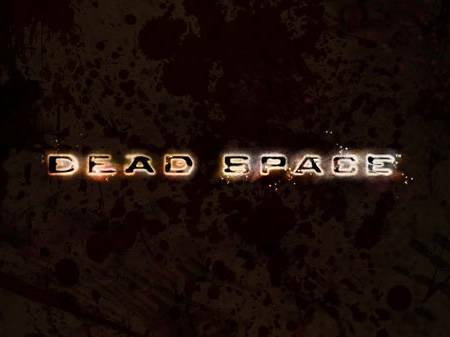 Dead Space, however, has attracted its current level of acclaim because it takes unoriginal ideas and gives them a new spin. In this case, the new spin is putting a way for players to get supplies and weapons into the game in a way that’s not hokey or comedic. The reason that the Ishimura’s stores work even when everything else has broken down may be unusual but is at least a system that can fit into the game with a without offering too big a plot hole, unlike an Englishman who happens to appear everywhere you do, just in time to sell you stuff. While the Merchant of Resident Evil 4 may be technically similar to the Ishimura’s shops, he is not at all in line with the moral of Dead Space, where greed brings one hell of a comeuppance in time. There are, however, plenty of other examples of this theme in other video games, both old and new. Final Fantasy VII, for instance, shows how the Shinra company were putting the planet and everyone on it at risk in order to line their own pockets. If we again look at Resident Evil, the chief antagonist of the series, The Umbrella Corporation, is another example of corporate greed gone wrong, as their desire to make money of the all-too-effective T-Virus caused many lives and even a whole city to be destroyed once their creation got out of control. There’s a common thread running right through all of these stories, and it is that selfishness breeds selfishness. You take something of value from other people, and sooner or later people are going to try to take something valuable from you. An eye for an eye makes the whole world blind. In Dead Space, however, the value of this evil money can be changed when put to good use. Money was what pulled the Ishimura toward its fate, but with Issac using it, he is able to level the playing field on which he finds himself suddenly deposited. By using the money he finds, Issac is able to deal damage to his enemies, repair his own injuries, and to increase his chances of survival in the vacuum of space. By using money in this way, Dead Space quietly tells us that when all else fails, those who have the most money win, but also that good and evil aren’t always such clear concepts when the chips are down.